This week we have a two-fer: an interview with Rayna Gillman and a review of her new book. 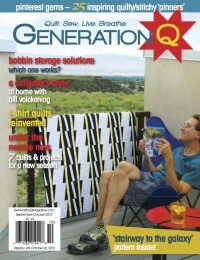 GenQ: How long have you been quilting? Rayna: Since 1974 (child prodigy – LOL). 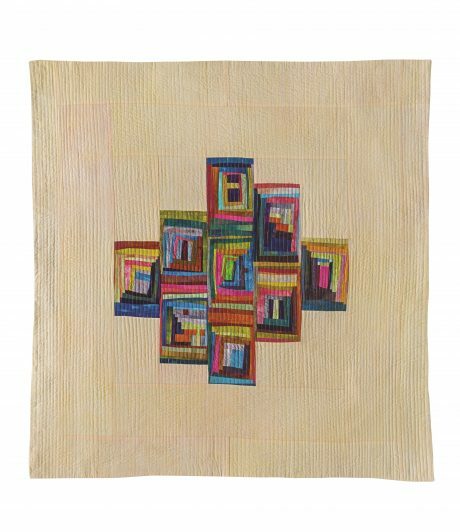 My teacher came from a long line of quilters and her mantra was “If your seams don’t line up – fudge it. Nobody will know the difference or care.” YAASSS! In those days there were no Quilt Police teaching or I would never have made another quilt. GenQ: What’s your beverage of choice while quilting? Rayna: Gin. It doesn’t leave stains if it spills. GenQ: White, milk, or dark chocolate? GenQ: Favorite fabric line (or three) ever? 1) Helene Davis’ hand-dyes. Drop-dead gorgeous. I cried when she moved from NJ to Paducah. Can’t live without her fabric strips! 2) Handloom Batik’s amazing Indian batiks. 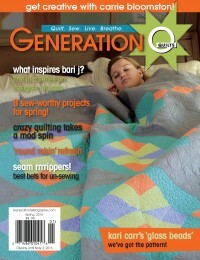 Look for Usha at quilt shows! 3) Michael Miller’s Cotton Couture. Yummy colors and best of all, the hand of the fabric is delicious and the cloth does not fray. It’s the only commercial solid I use. 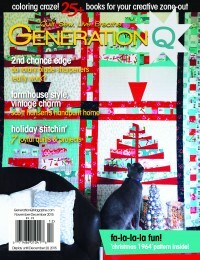 GenQ: What thread do you use for piecing? Rayna: I use Superior Threads King Tut for both piecing and quilting. I love the variegated for quilting. GenQ: what iron do you use? Rayna: El Cheapo (have you heard of it?). The expensive ones don’t last any longer. I have tried them. Right now I’m using a $39.95 Hamilton Beach 19804 which, when it dies, I will have no problem throwing away and replacing. I did love my Panasonic with the titanium sole plate but when I dropped it, I couldn’t find another one. Then there are a couple of $15 ones from the supermarket. I LOVE to iron, so I have them all over the place. 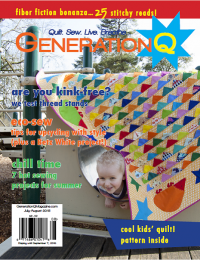 GenQ: Has your quilting changed a lot from when you started? Rayna: I hope so! Of course, when I learned to make a quilt, everything was by hand. Seriously, nobody quilted by machine. That wonderful teacher (referenced above) said “A quilting stitch is a running stitch.” She never said they had to be the same length or all lined up, or 20 to an inch. I wish I could thank her but I think she is at the great quilting frame in the sky. Have my quilts changed? I hope so, because i started making pieced quilts with patterns. But they have come full-circle. I’m piecing again (instead of raw-edge) and not using my own hand-printed fabric (although that will happen again – just differently). I haven’t used patterns since the mid 1990s, so that’s a difference. I have an improv life and make improv quilts. It’s such a joy to not know what the end result will be. Decades ago, I borrowed a friend’s computer design program and by the time I was finished designing a quilt on the screen, I was done. I had already ‘made’ it, so why would I want to make it again? Boring. I believe it’s only when you don’t restrict yourself to making somebody else’s design with a pattern that you are able to put your own aesthetic and personality into your work. It’s freeing and it’s fun and it’s 100% you! 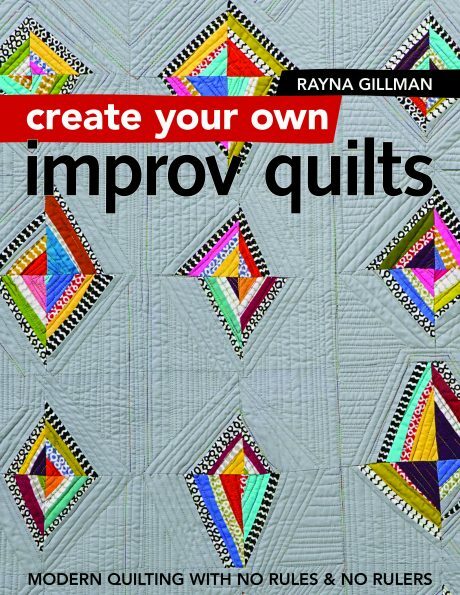 One of the absolutely delightful things about Create Your own Improv Quilts: Modern Quilting With No Rules & No Rulers, is that author Rayna Gilman writes with more than 40 years of experience as a quilt maker, making improv quilts with–and without–rulers and rules. Oh, there are concepts and principles, but rules? Mmmm, no. 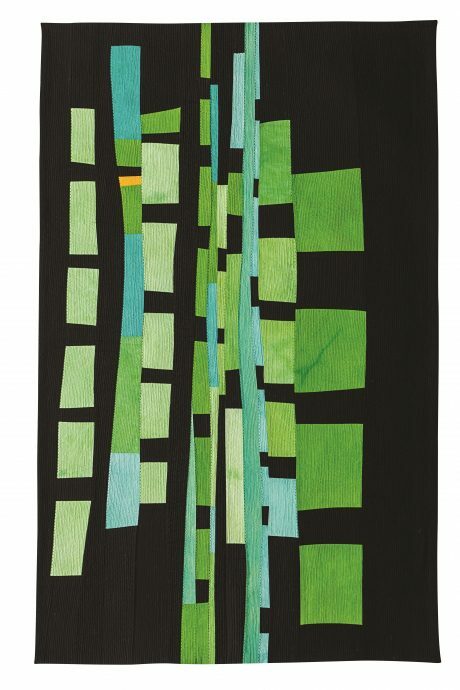 Rayna’s quilts are dynamic, fun, modern, fresh and most importantly they’re quilts. 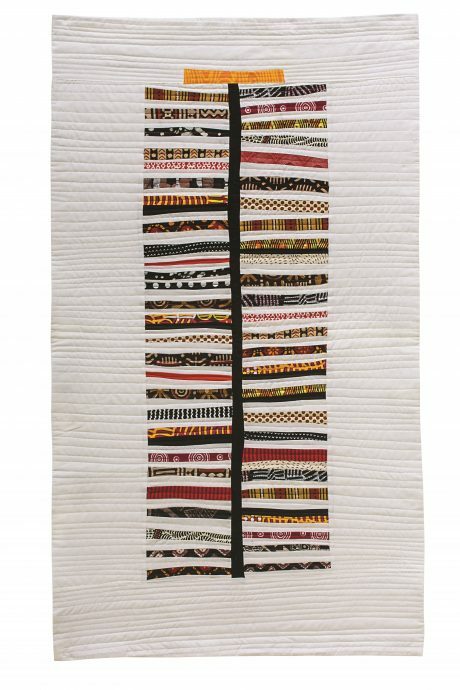 Rayna’s long career as a quilt maker gives her a unique sense of quilting and textile history. The rotary cutter and the plethora of rulers weren’t even on the market when she started quilting. She had to use…wait for it, friends…scissors! To cut fabric, and probably used the same pair of scissors to cut templates from….hold onto your knickers…paper. Shudder. Yeah, unbelievable. Conversely, she brings modern tech to the party, such as using a cell phone camera to help determine the value (light/dark) of the fabrics she’s working with. (This is a great technique for determining which fabrics to use in a quilt, btw.) Rayna encourages use of rotary cutters and rulers to get started, then gives the quilt maker the option of putting them away to cut gentle curves. 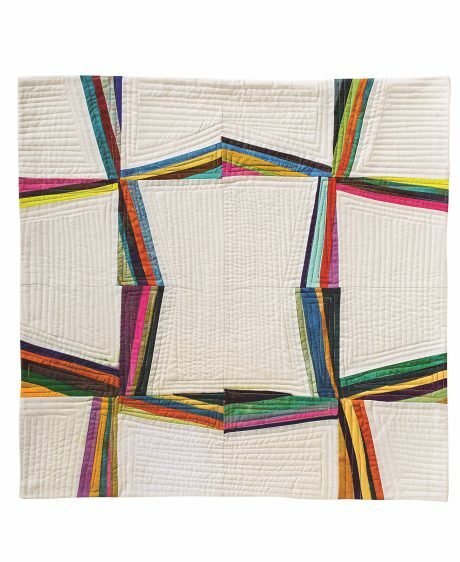 These curves and free-form piecing give her quilts a modern feel, and unique look. 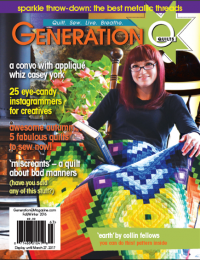 In covering the principles of design she reminds the reader that 1) options exist, 2) trust our gut, and 3) try a variety of options before settling on what the quilt wants to look like. Again she brings the smart phone camera into play–taking photos allows us to see what the quilt looks like from a distance. This means we can rotate the quilt to see which direction makes the most sense for the particular design and it allows us to once again check value placement. In other words, one photo can help us decide if this quilt is working or not. Rayna encourages each quilter to ask “What if?” without a whole lotta fear. It gives us the opportunity to explore the gift of the fabrics in our stash that we’ve been holding onto, waiting for the right moment to use them, to make changes in our quilts, and to define each quilt as we (or the quilt) decides. Rayna brings in that sense of community that we all long for in quilting making because she’s adamant that quilters need to ask for input. Asking for input in some setting–friends, mini-group, guild–allows us to explore more possibilities. 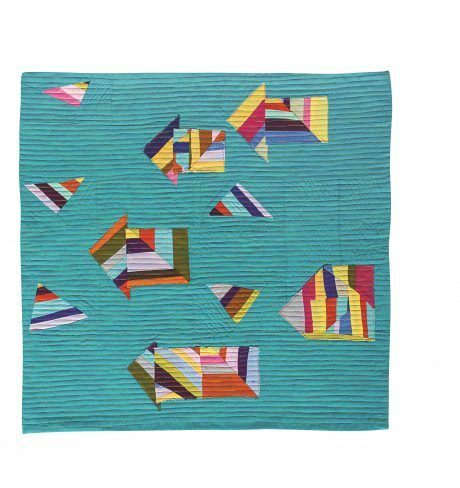 I know firsthand that a mini-group can be quite helpful in the process of making quilts, both because of the camaraderie and the design feedback. With Rayna’s encouragement, ideas and technqiues in mind, go forth and cut fabric, stitch it back together, and make a beautiful quilt! You have a chance to win a copy of Rayna’s book (print version for U.S. winners; e-book for winners outside the U.S.). Simply share in comments on this post about the one tool you can’t live without in your sewing room. We’ll choose a winner on Friday, Nov. 24. I’m not sure I could live without the rotary cutter. Maybe I could, but I don’t want to! My ONE choice would have to be my small, orange-handled, curved tip scissors! So great for trimming applique’ pieces – especially in the hoop! I can’t live without my design wall. Besides my sewing machine, I really need my Kai scissors. I have several pair in different sizes and they make the job of cutting so easy! I love them! This book is just my style…I love improv too! Good sharp scissors. I love my rotary cutter too, but couldn’t live without the scissors. Like Rayna, my iron is the one tool I need, to make things lie flat before the next seam. I actually quite like ironing, its kind of meditative. And it makes me walk to the other end of the room- to stretch my body out and give my neck a rest from sewing! Well, that’s easy. A seam ripper! I’d say a needle is the one tool I absolutely have to have! Though there are plenty of others I’d miss terribly if the needle was the only one I actually could have! lights haven’t been mentioned, being able to see just what I am doing makes it all much more relaxing! My self-healing cutting mat. Love that thing! My rotary cutter… it takes me such wonderful places! My rotary cutter – it makes me slow down & watch where my fingers are! Love this book. It is a fun and enlightening read. Have been leaning/sewing that way for awhile and enjoying it immensely. Great inspiration. 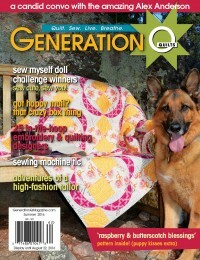 Using large stitch hand quilting as well as machine quilting too. Love doing it in grids of plaid as I call it. I absolutely rely on my stiletto when piecing. The tool that I can’t live with is the little purple thing. LOVE IT! I could not do without my small sharp scissors that snip all the loose or dangling threads!